Tuesday was a wonderful blue-sky day in this neck of the woods, so I asked the wife if she wanted to go for a drive. She cheerfully replied "Sure, where to?". So... off we went along with Coondog to Atlanta. 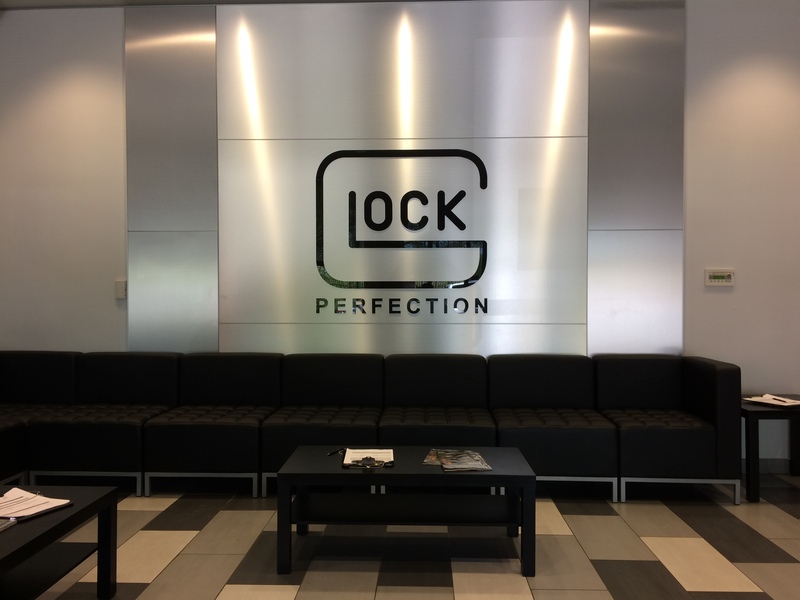 My G19 tritium sights had run low on glow juice over the past 20 years so I figured it was a good excuse to take a look at Glock's Smyrna operation. Security is tight. Armed guards and electronic gates. You must depart your vehicle with ID. 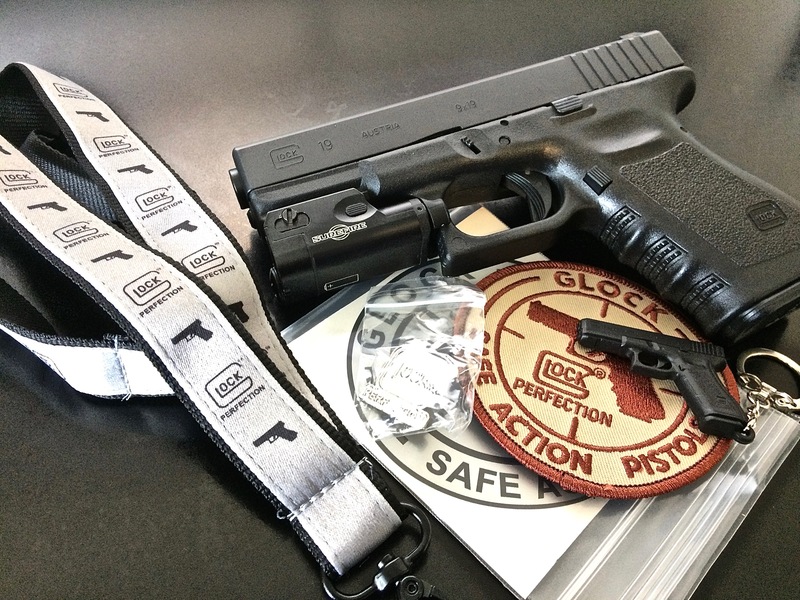 They check your firearm and put a cable lock on it and issue visitor IDs. Then you are directed where to go. Typical professional business park (not industrial). I thought maybe a small tour, Glock history display, or perhaps paraphernalia for purchase. Something. But what I found was really not much more than an oversized dentist's waiting area. A cheerful guy in a Glock shirt greeted me at the electronic locking door and asked what it is that brought me here. I explained. He offered me the standard night sights or another type. He left with my gun. I thought there would be more customers there. None. Just a few minutes later he returned. New sights installed and a list of other things replaced. Slide stop lever, connector, slide lock spring, trigger/trigger bar and recoil spring assembly. On the way out the guards gave the wife and I each a small package with what you see here. 2sharp2, RustyIron, SnowTao and 5 others like this. Last edited by ChattanoogaPhil; Today at 11:23 AM. Ya' know, I love these stories about members and their adventures! Where are you crazy kids going next? That's pretty cool that the took care of you so fast. Out of curiosity, did they charge you for the service? $67 for new night sights. No charge for other replacement parts. A few years earlier I sent my Gen2 G17 because the rear sight wasn't working (adjustable). They about rebuilt the entire gun at no charge. You can’t beat that for $67 dollars. 2sharp2 and ChattanoogaPhil like this. No kidding, that was indeed customer service. A few months ago I thought about a G42 (I believe), their .380ACP that both my wife and I could use for defense. I figured if I had to use it, it would go immediately into an evidence bag--better a Glock than a Kimber. Pretty cool service. I bought a new Gen 2 back in the early 90's. Soon, they sent out a recall notice. It was for something inconsequential, so I did nothing. Twenty years passed, and I had second thoughts. I called, and they said to send it in. When they returned the gun they not only did the original mod, but they upgraded all the other parts. I don't own a Glock but that's first class service at a reasonable price, I don't care who you are!